Our experts will evaluate your Art & Antiques for auction or private treaty sale. Given the current popularity of TV shows like "Antiques Roadshow" and "Decorating Cents," more than ever people are finding treasures in their attics and turning them into cash. But how do you know what's valuable? Heritage Auctions can help! 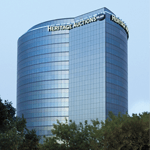 Heritage Auctions provides free auction estimates on the types of objects that we normally sell at auction. If you haven't already done so, please browse our recent fine and decorative art auctions to see if we've sold items like yours in the past. Are you certain you have an original painting or sculpture? An original print would be signed and/or numbered. (Visit Catalogue Raisonné for more information on how to determine if a print is original or not.) Reproductions, including posters of art, are not handled by Heritage. Thoroughly examine the artwork for any signatures, initials, inscriptions or other markings that indicate the name of the artist (or maker in the case of decorative arts). This information is not always front-and-center; check the bottoms and back sides as well. You may wish to get the assistance of a framer or restorer to look under linings and frames, if that's possible to do without causing damage. With the artist identified, there are several resources, both online and off, which you can consult to learn more about him or her and get a rough idea of their work's importance, including recent sales of the artist's work, museums and galleries with the artist's work in their possession, etc. Is there any visible damage? Any areas of visible repair? Is the color strong or faded? Is it dirty or clean? Again, you may wish to get the opinion of a restorer. (DO NOT ATTEMPT TO DO ANY RESTORATION/CONVSERVATION WORK YOURSELF.) Often, works that have never been touched, though dirty and in need of repair, have more value than ones that have been. 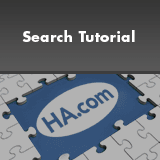 Click here to identify and see examples of condition issues. Did you obtain it directly from the artist or from a dealer/gallery/auction house? Was it inherited? Do you have any documentation to verify how it was acquired? What other details do you know? Dimensions, date, title, medium (the materials it's made of), historical provenance (chain of ownership), etc. are all facts which, when documented, can help determine the value of an artwork. Work from a certain period in the artist's life, for example, might be more valuable than that from other periods; the same could be said for working in a medium or size that was not the norm for the artist. With the above information in hand, please complete the Free Auction Evaluation Form. We will do our best to respond within a few business days. 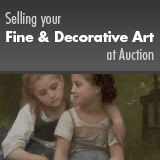 An auction estimate is the likely value your artwork would obtain in a Heritage auction. If you need a formal written appraisal for estate planning, insurance, etc., please contact our Appraisal Services Department. Charges for formal written appraisals are based on our experts' time. Appraisal fee schedule can be viewed here. Thank you very much for considering a consignment with Heritage Auctions!